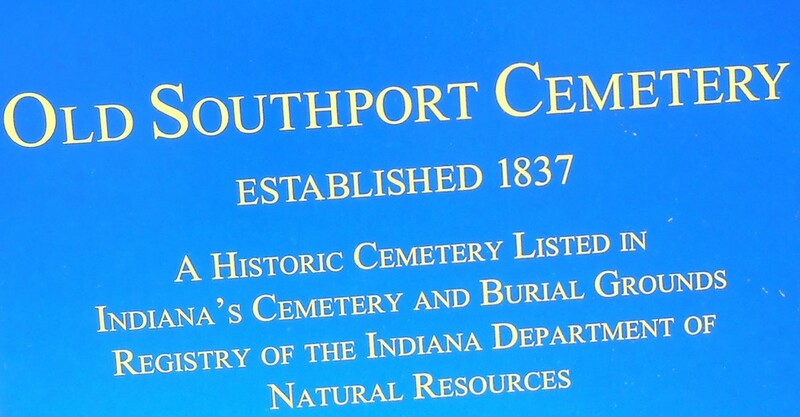 Southport Cemetery was established about 1827 in connection with an early Baptist Church. A plat of the cemetery prepared in 1939 gives the locations of the graves of 17 veterans. In 1940, 236 grave markers were standing. Today, relatively few remain. The Smock and Bryan families were among the first to settle in this area. Samuel and Mary Bryan settled in Perry Township in 1830. Samuel Bryan, the patriarch of the family, was a Revolutionary War soldier and was a member of George Rogers Clark’s expedition. He was also related to Daniel Boone. Samuel and his wife Mary, went with Daniel and Rebecca Boone to Kentucky. It is said that Mary was the first white woman to set foot North of the Cumberland River/Mountains in Kentucky (c. 1776). The Bryan family is believed to have been instrumental in building Bryan’s Station (located in Lexington, Kentucky), a famous haven for early settlers during skirmishes with the Indians. Alexander Monroe, another soldier of the Revolution, is also buried here. A Virginian, he enlisted in 1777 to be part of a group of native born Americans to serve as a bodyguard for General Washington. 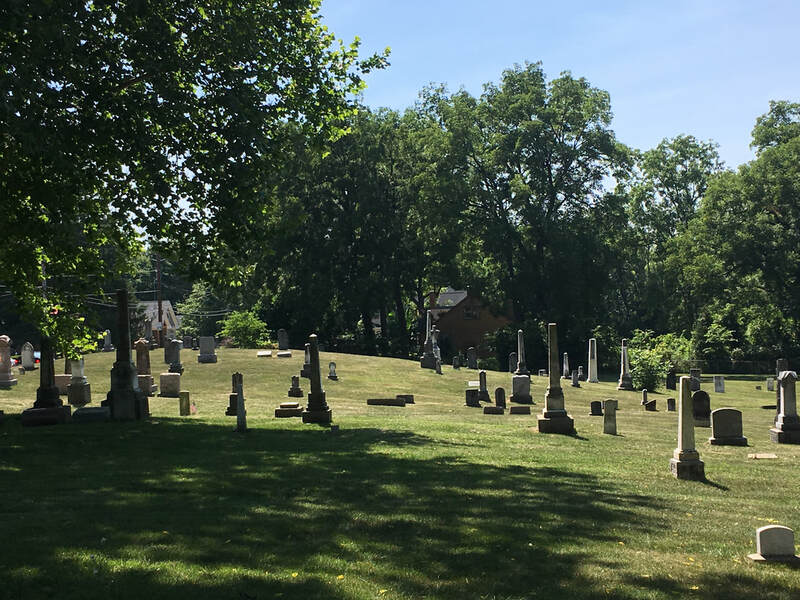 No doubt very similar stories were part of the lives of all the pioneers whose final resting place is this cemetery. Many years ago, members from both Mary Bryan and Samuel Bryan Chapters made it possible to purchase and install the current monument honoring Mary and Samuel Bryan you see today. More recently, the Mary Bryan chapter was able to place a metal fencing around the Bryan’s final resting place. Both gestures are a sign of gratitude, memory and respect for our namesakes.